Since November 2008 Danny Ward has been travelling Great Britain, often in his T reg Polo, sometimes on the coach, entertaining audiences with his unique style of observational humour. 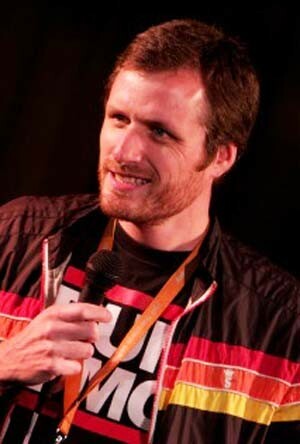 He has gigged extensively across the UK including comedy venues such as The Glee Clubs, Jongleurs, The Highlight, Just The Tonic, Baby Blue, Komedia, the Bearcat and Downstairs At The Kings Head. He has also performed in Northern Ireland at the Belfast Empire, as well as in Germany, Tenerife, Maastricht and Croatia. Danny was a finalist in the Amused Moose New Act Competition in 2009 and for the last three years has hosted many of the London heats of So You Think You’re Funny , as well as the Reading New Act Competition Finals in 2009 and 2010. In 2011 he starred in the prestigious Bound & Gagged produced AAA Late Show in the Pleasance Courtyard. He will return to the Edinburgh Festival in 2013 with his hotly anticipated debut solo show.